North Koreans are among the poorest people in the world, they are the least economically free and its Christians are the most persecuted. Many find conditions in their country unbearable so they leave, which is considered an act of treason. North Koreans who are caught leaving their country are subject to at least one year in a labor camp and face execution. The only viable direction for North Koreans to flee is north, into China, since to the south is the DMZ, the most militarized border in the world. North Korean refugees in China receive zero human rights. It is legal to murder a North Korean refugee in China, according to our sources on the ground. Chinese police actively search for North Korean refugees in cities near the border. There are up to 200,000 North Korean refugees in China. This has created a perfect storm for human trafficking. China’s one child policy has created an almost hopeless gender disparity. China estimates that, by the year 2020, there will be 30 to 40 million more men than women. In some of China’s most populated regions, the gender ratio is almost three to one. Seventy percent of North Korean refugees are women, 80 percent of them have been sold, according to a US Congressional report in 2008. It is not the wealthy who need to purchase wives but those with the lowest social standing. Many of the women in Crossing Borders’ network are married to men who are physically or mentally impaired. Most live in abject poverty. The UNHCR estimates that there are between 20,000 to 30,000 children who are born into these forced marriages, according to their report (UN Doc A/HRC/25/63 at para 44). Their citizenship status is murky since their mothers are illegal immigrants. 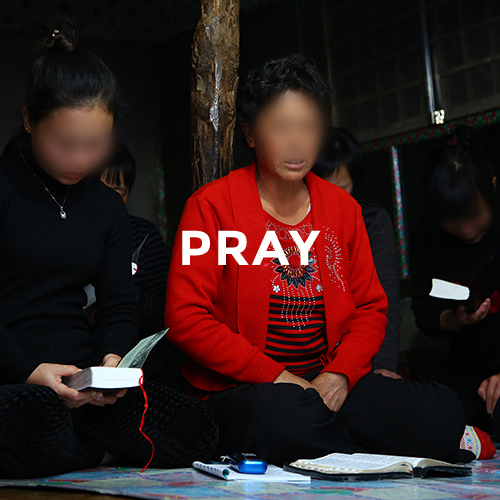 In our network, 33 percent of the children had mothers who were repatriated to North Korea and 30 percent of the children in our care said their mothers disappeared and they don't know their location, according to the results of a survey we administered in 2014. 8.4 years is the average length of time the children have been separated from their mothers, as of February of 2014. These children are left in the care of fathers who are ill equipped to care for them and often times do not want them. We can reach more and more of these people with vital aid, through your support and prayers. Since 2003 Crossing Borders has been able to operate in Northeast China and we’ve helped hundreds of North Korean refugees.